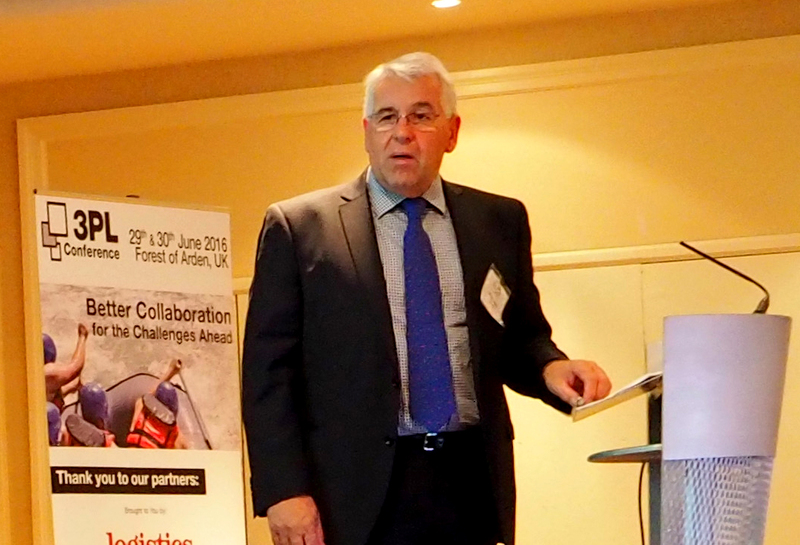 Logistics leaders are rolling up their sleeves to meet the challenges of Brexit, according to UKWA chief Peter Ward after he chaired a session at the 3PL Conference that looked at the impact of the referendum decision. Peter Ward, CEO of UKWA and chairman of the 3PL Conference. “Our message is one of confidence in the resilience and resourcefulness of our industry,” he said. “While we remain unsure of what post Brexit will bring, business leaders are ready to meet the challenges ahead and UKWA will be playing its part in lobbying the government hard to ensure that the concerns of the industry are heard, understood and addressed,” said Ward. The 3PL Conference, organised by Akabo Media at the Forest of Arden last week, attracted a host on industry leaders. The Brexit result was not the only topic focused on at the conference. Charles Pryce, head of demand and replenishment planning at Gist, discussed the position of 3PLs when it comes to plan demand and inventory. Suzuki’s Wayne Dye, general manager parts and accessories division, alongside Kevin Turner, managing director BDA, explained the strategy that led to the partnership’s win of the Automotive, Aerospace and Industrial category at the Supply Chain Excellence Awards 2015.